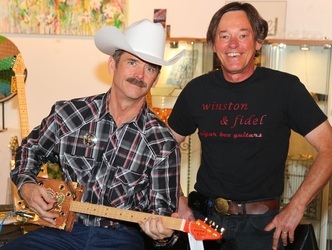 Colonel Chris Hadfield visited us at Motion Gallery in Calgary, and tried out a few guitars before settling on an Alberta Red Neck, #119. 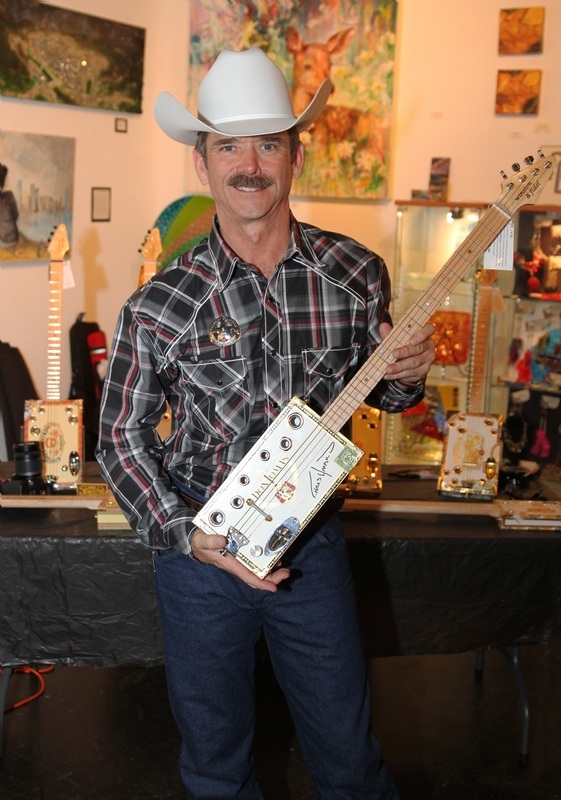 Then he autographed another to be auctioned in support of The Calgary Foundation's flood relief fund. We're proud to say that guitar brought in $2,500 for the cause! Thanks to all who bid on it; your support is greatly appreciated! Colonel Hadfield with the guitar that he chose to be auctioned for Calgary Flood Relief. 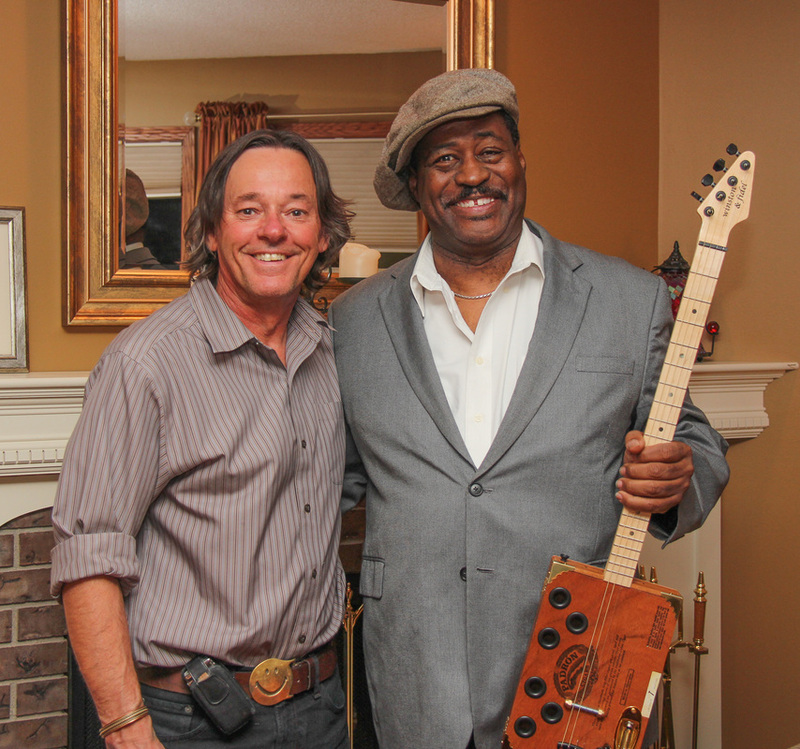 We are proud to announce that Fruteland Jackson, recipient of the Blues Foundation's "Keeping the Blues Alive" award, and creator of the award winning "All About the Blues Series - Blues in the Schools" Program, has chosen a Winston & Fidel cigar box guitar to help bring the history of blues music to students of all ages.